When the first smartphone was introduced to the public in the late ‘00s, nobody could predict the impact it would have on our daily lives. Nowadays, we are able to book, organise and enjoy our holidays on the go, with the help of dedicated travel apps. But with so many choices out there, how do you know which ones to pick? We have tried and tested all the available travel applications out there to find out the best of the best. So, without further ado, here are the 30 (plus one) best travel apps on the market, as picked by the Stasher team. 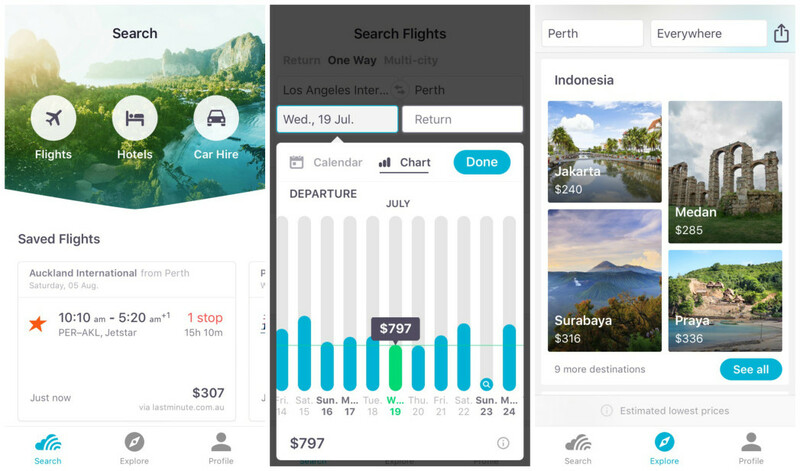 Although Skyscanner is not used exclusively to book flights (the service extends to hotels and rental cars as well), it is one of the most popular choices. The biggest selling point of the app is the freedom it gives to the user: you don’t even have to pick a destination or a specific travel date. Skyscanner will provide you with the cheapest deals across many destinations for a given period of time by comparing deals through travel agents and airlines. If you are eyeing a specific trip, you can set up an alert that will immediately notify you when prices change. Perfect if you want to plan an exciting getaway, but you are not sure when. The Holy Mother of Search Engines (aka the big G, aka Google) has an impressive suite of useful apps across all platforms. Travel is not an exception: it seems like the Californian company seems to have its eyes set on providing you with the answer to the meaning of life, the universe, and everything. Although Google Flights is not an app per se, it works perfectly well on your mobile browser. You can get price graphs to explore price trends, tips about when to book to get the best deal and how fares change when you fly to different airports. Although it is not as polished as fully optimised apps, it can help you discover deals you might have otherwise missed. When it comes to travel magazines, Lonely Planet is the definitive authority. Their website has a truly astounding amount of quality information about pretty much anywhere on the planet. Thankfully, with Guides, they have decided to share their knowledge with us — completely for free! 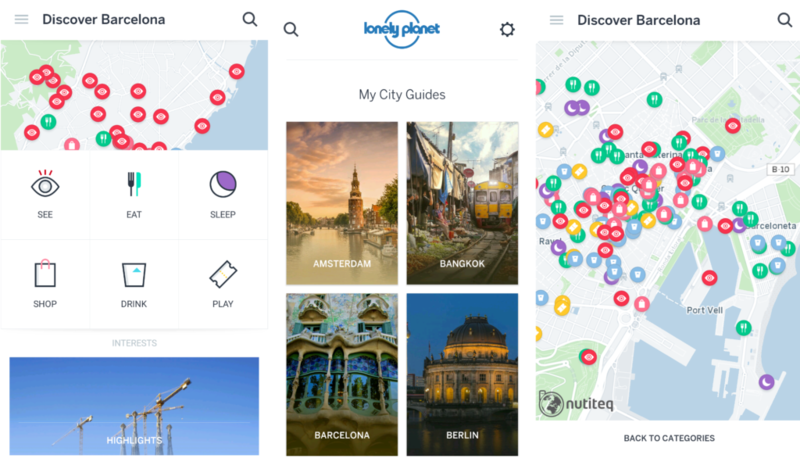 The app currently includes detailed guides for 219 cities around the world, with many more added every month. 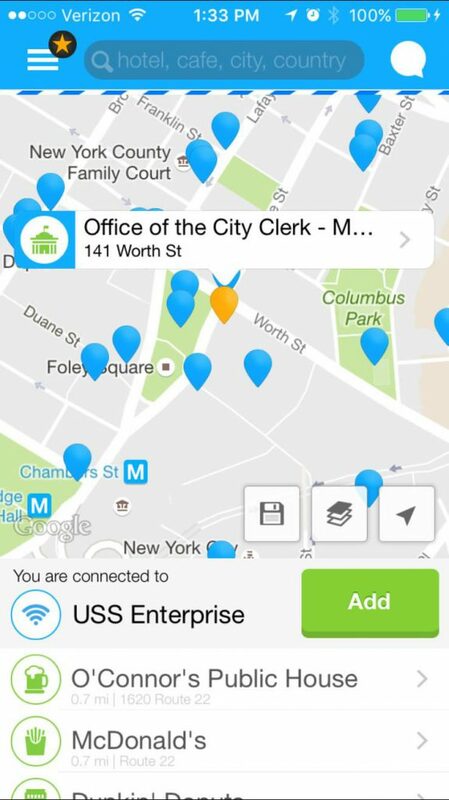 You can download each city guide and use it offline, without losing any functionality. You get a dedicated currency converter, local transport info, as well as audio phrasebooks in 18 languages. If this is the future of tour guides, then we can’t wait for more! Going somewhere new for a few days and have absolutely no idea what to pack? There is an app for that! Packpoint gives you recommendations on what to pack, based on the weather at your destination, as well as the length and type of your trip. The lists are customisable and can be easily shared among your friends, so nobody forgets anything important. Next time you’re unsure about what to pack, give Packpoint a try! 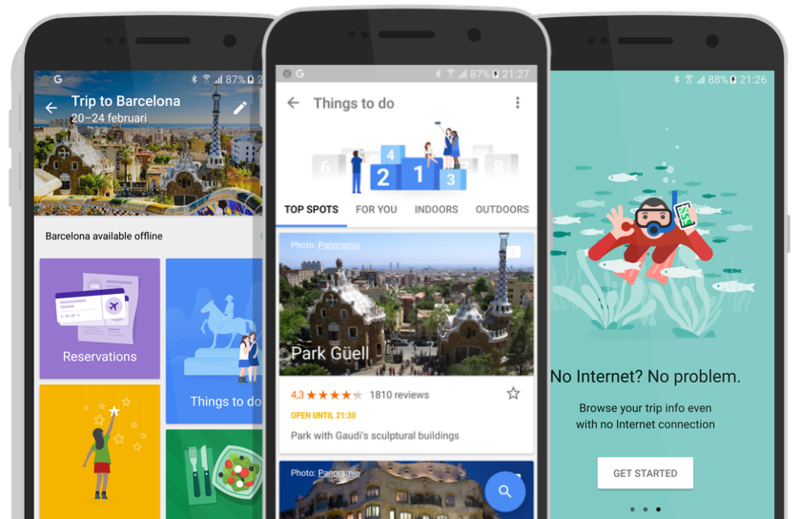 Google Trips is yet another Google travel application that promises to make itinerary planning as easy as possible. By pulling data straight from your Gmail account, it automatically creates a detailed agenda of all your flights, bookings and travel details. 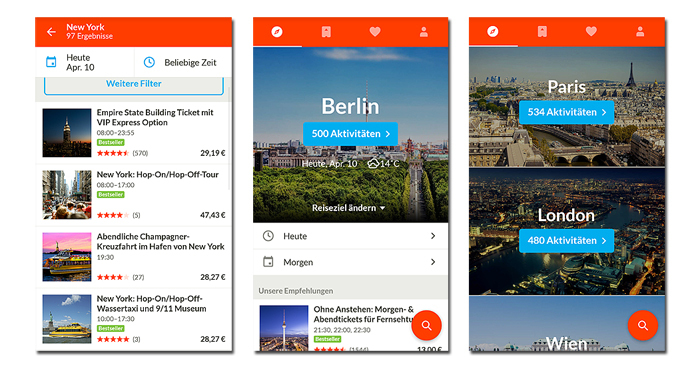 Just like that, you get all of the necessary information of your trip available with just one tap, even offline. 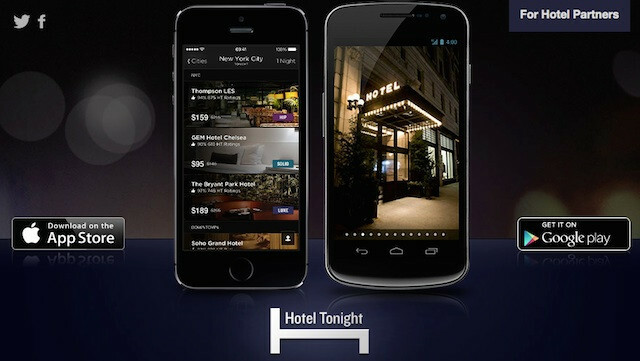 The app will suggest things to do at your destination, recommend places to eat or must-visit sights. At this point, you could just say that Google is making our lives easier for the sheer fun of it. 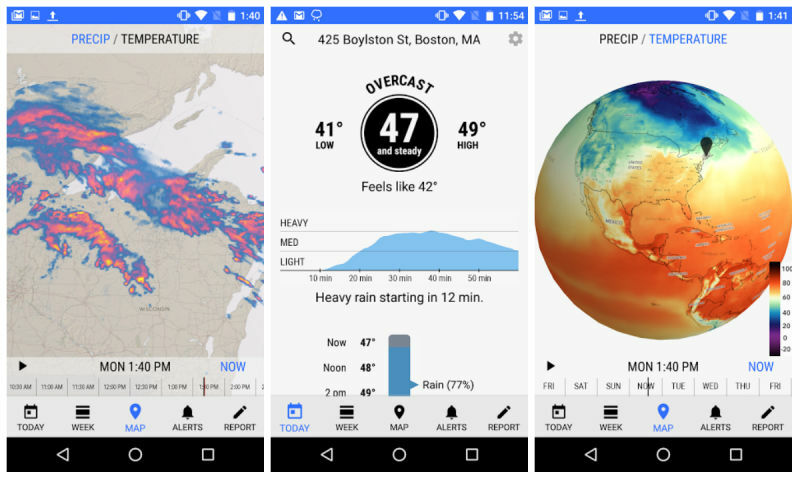 Despite its ominous name, Dark Sky is an app that serves a noble purpose: informing you about the weather in your area or anywhere in the world. Also, it can send you notifications in case of extreme weather conditions so you have time to cosy up in a cafe and wait for the storm to pass. The app is not free (it costs £2), but it provides pretty accurate predictions compared to many other competitors out there. GetYourGuide connects travellers with activities and things to do, anywhere in the world. Through the app, you can easily book available tours, excursions and experiences near you and create unique memories on your holiday. 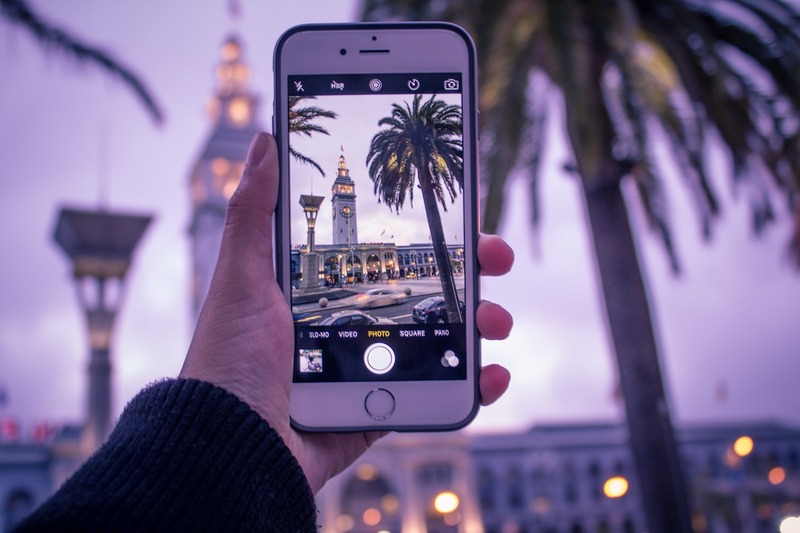 To this day, the app offers more than 33,000 different services around the globe: from sightseeing tours to quirky activities, if it exists, you can book it here. Certainly helpful if you want to squeeze every little bit of your adventure! Curious to learn how much a trip from your couch to Ulaanbaatar would cost? Do you want to visit your auntie Grizelda on the other side of the country but don’t know how to get there? 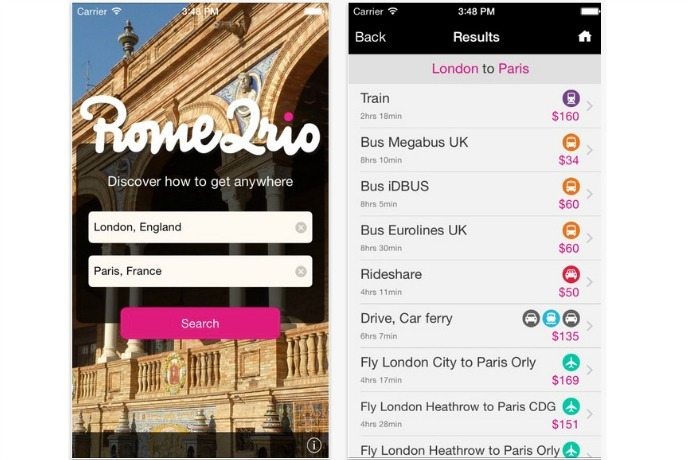 Rome2Rio is a multimodal transport search engine that will get you there in all the possible combinations. Just put any address as the origin and Rome2Rio will search among thousands of possible flight, ferry, bus, train and driving routes to get you to your destination. Then, it’s up to you to choose the one that suits you the best. Really useful if you want to explore alternative routes or if you feel like getting to Moscow by car is a good idea (it is not). Keeping track of your itinerary details can quickly get messy, especially on long trips with many destinations. So instead of frantically searching through your emails when you are trying to find booking confirmations, just use TripIt. 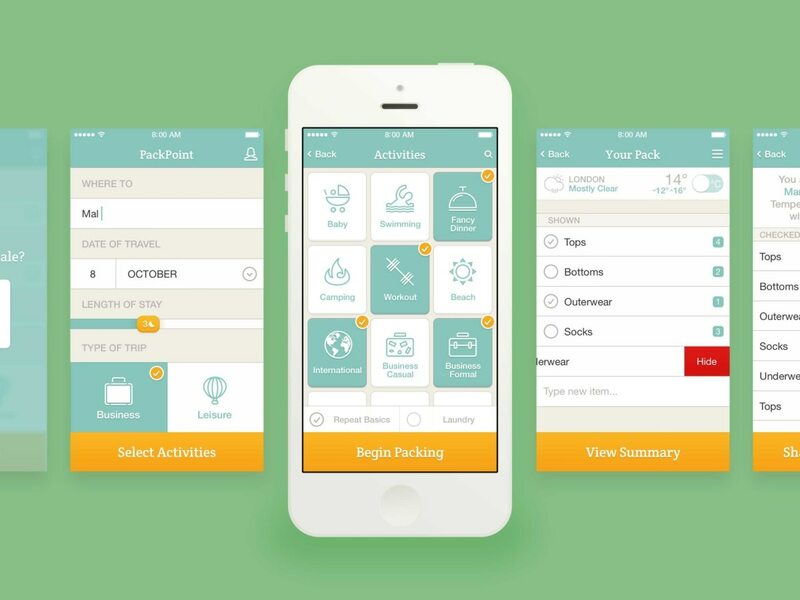 This app will automatically create a detailed and easily accessible itinerary of your trip. You only have to forward them your travel confirmation e-mails and you’re all set! The app that defined the sharing economy could not be left out of this list. Airbnb allows users to list their available accommodations (apartment, house, or room), with travellers who want to rent them. This is especially useful if you need to stay in a place for more than a few days, as the daily rates are usually lower than a hotel. Apart from homes, the website also lets people list “experiences” in many places all over the world, promoting their services (tours, day trips and classes). Great if you are travelling with larger groups and if you want to stay in a more “homey” environment. 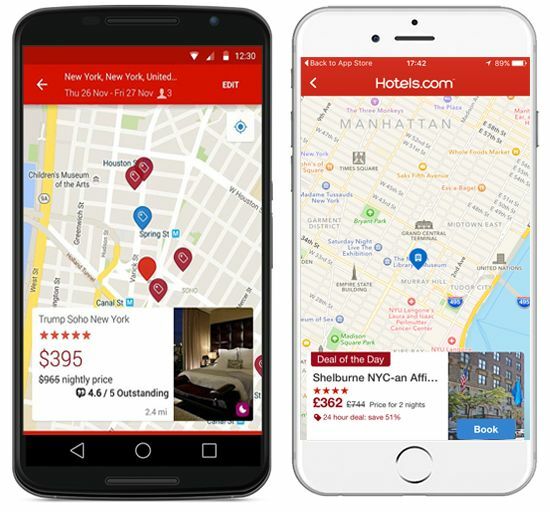 Hotels.com is part of the Expedia Group. They work with an extensive network of hotels, ranging from major chains to local B&Bs. The main reason we love this app is that it offers an exceptional reward system for its users. After booking 10 nights, you get a free stay at a hotel (the total worth is determined by your average rate for those nights). Furthermore, you can unlock Secret Deals for luxurious accommodation at impressively lower rates. Definitely worth a shot, especially for seasoned hotel dwellers. The world of online accommodation booking is filled with secrets and hacks that can potentially save travellers a lot of money. Pruvo is an app that disrupts the booking process by letting you rebook the same hotel room for a lower price at a future date. Evidence suggest that many hotel room prices experience price drops after a reservation was made. However, tracking them manually would be an unrealistic concept (unless you spend all of your time in front of the PC). Pruvo tracks your booking and alerts you about price changes in real time, so you can rebook your room at a lower price. 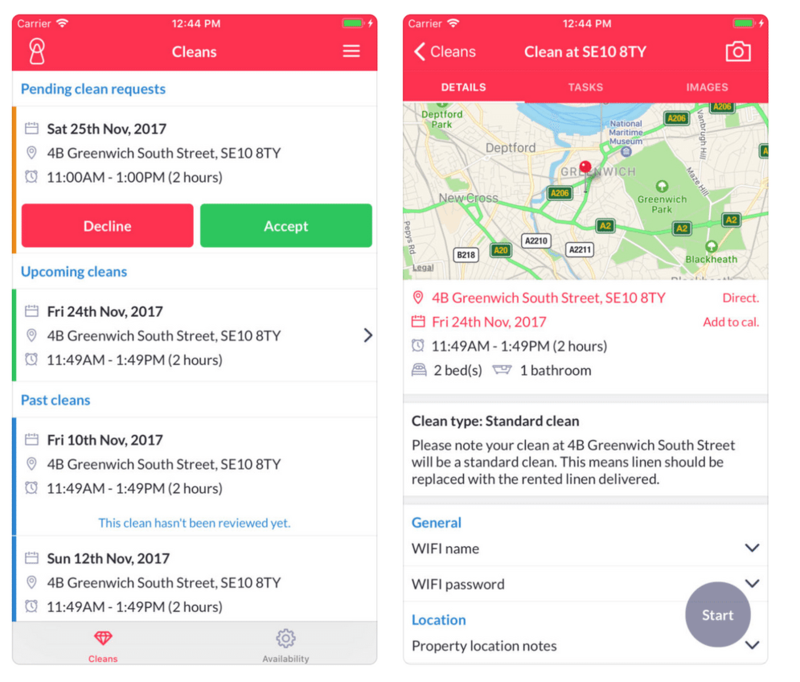 Although this only works on bookings with free cancellation, it’s a nifty little free app that can potentially save you a lot of money. After all, it couldn’t hurt to give it a spin. Sometimes, plans fall through, destinations change and the panic kicks in. Do not despair though, as Hotel Tonight is here to solve all your last-minute accommodation problems. The idea is simple and lucrative for everyone: hotels upload their unsold rooms for the day through the platform at a discounted price, while you get to drown your sorrows in hotel breakfast juice. Waiting times between trips are inevitable. While they can be a drag, layover times can also be a great opportunity to explore a city. However, sometimes you just don’t want to use your available time to wander. 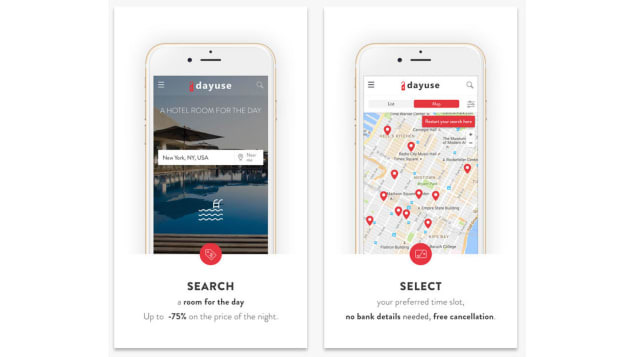 Dayuse lets you book hotel rooms and amenities for a few hours (six to 10 mostly) at greatly reduced rates. This will give you enough time to relax, take a shower and possibly catch some zzz’s before going on with your journey. Although the property inventory is not really that wide yet, this is a great solution for the weary business traveller. The real problem with layover times starts when your waiting hours are too many to spend in an airport and too few to actually see or do anything interesting. 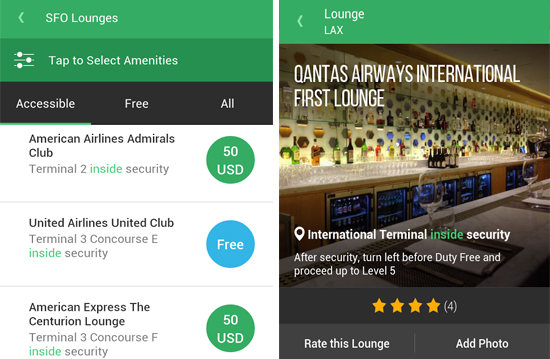 LoungeBuddy solves that problem by allowing access to premium lounges to all travellers, regardless of membership and fare types. You just book through the app and enjoy some peace and quiet away from the busy terminal. Time flies when you’re comfortable! Price: The app is free to download. The Priority Pass function offers access to airport lounges in more than 400 cities and comes in three tiers: Standard (£80 upfront, £21 per person), Standard Plus (£200 upfront, £21 per person – including 10 free visits) and Prestige (£320 upfront with unlimited access to any Priority Pass lounge). 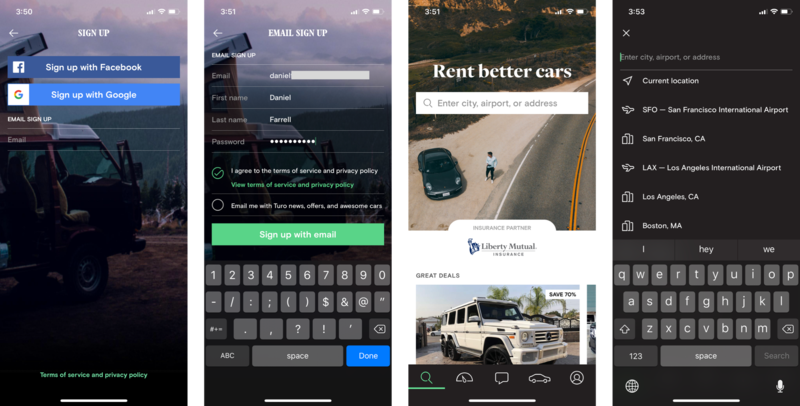 Turo (formerly RelayRides) is a peer-to-peer car sharing company, that connects private car owners with people who want to rent them. Contrary to traditional car rental services, this particular company does not own or maintain any cars, which reduces rental costs. Turo offers more than 800 different models of vehicles, thus making your travels as distinctive an experience as each one of the provided cars. As of now, the company serves in more than 5.000 cities, in the US (except for NY), some Canadian provinces, the UK and Germany. 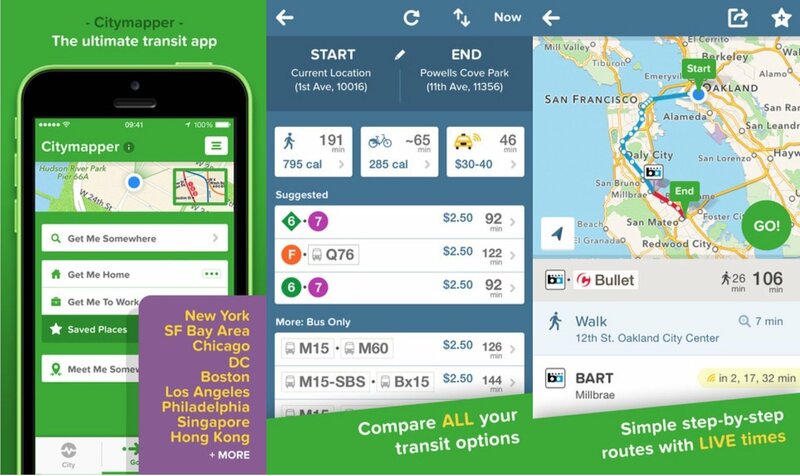 Citymapper is a public transit app and mapping service. 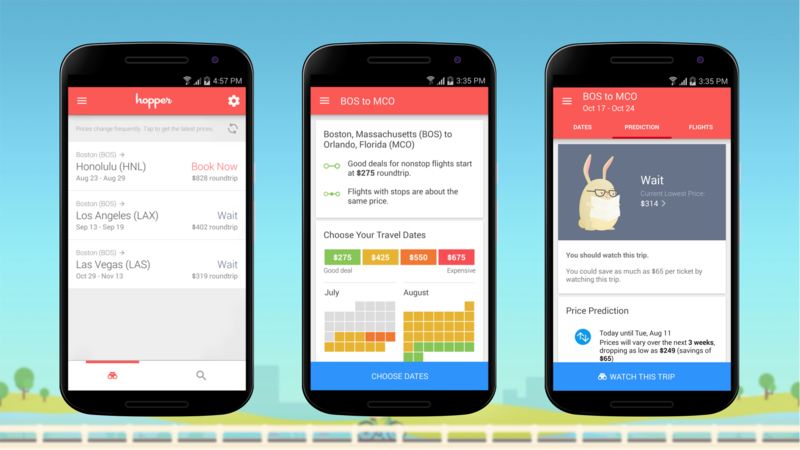 Unlike Google Maps, which also provides data for transport modes, like walking, cycling and driving, the developers of this app decided to give emphasis on public transportation. They have even created Smartride; their own form of transportation, which is a hybrid between a bus and a cab. Although the company started out in London, they now cover many cities around the globe. So next time you are looking for a bus or a cab and are worried about transfer times and congestion, use Citymapper! 5800+ airports all over the world. 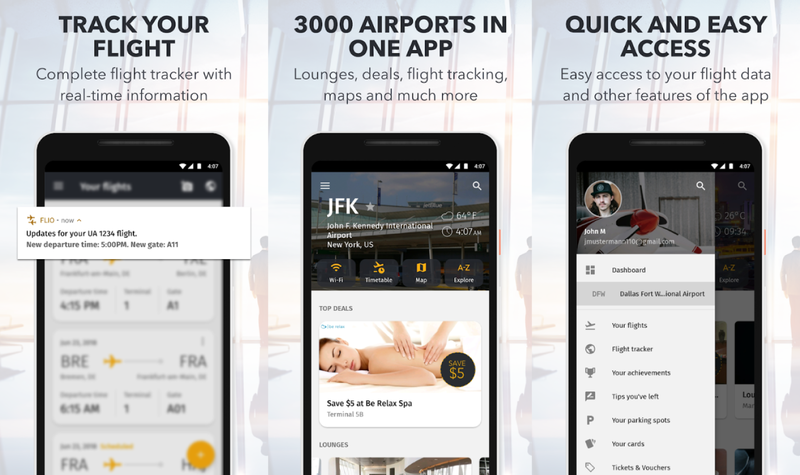 From flight tracking and departure board information to discounts on airport shops and lounge area access, FLIO aims to make airports an integral part of your travel experience rather than a tedious part of it. Next time you are in the airport and have some time on your hands, give it a try. You’ll surely find out something new! It is likely that you have already heard or used Uber, the ridesharing app that changed the way we move around cities. 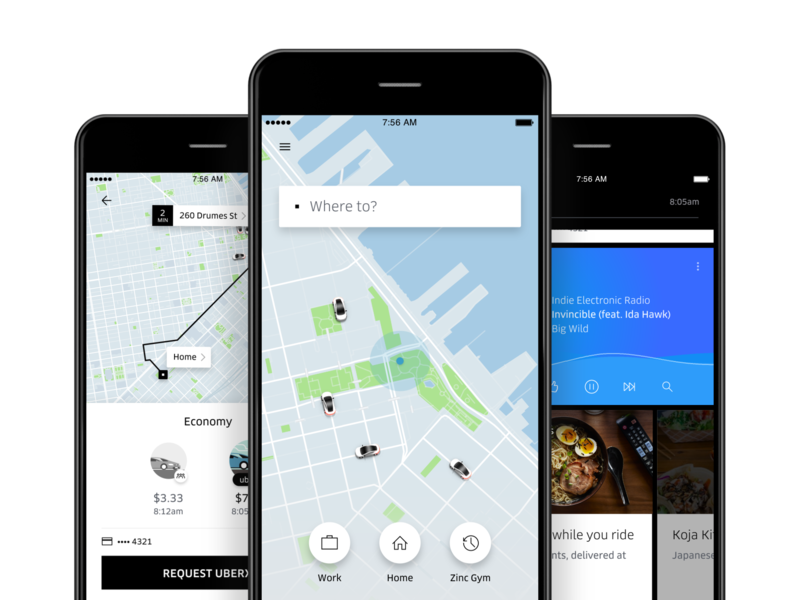 With a network that extends to over 700 cities all over the world, Uber provides a reliable -and usually more affordable- alternative to regular taxi cabs. Ease of use and safety are what makes Uber preferable by many travellers since all drivers must meet certain criteria and pass a background check before being able to sign up. 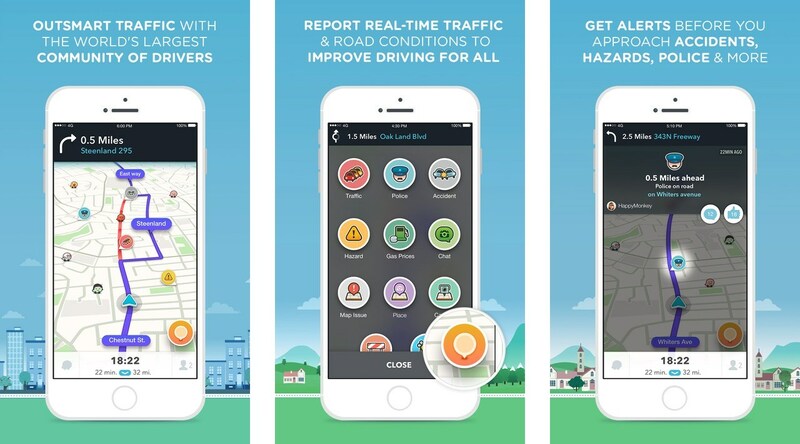 Waze is a community-based navigation app that directs drivers using real-time crowdsourced information. The community can report traffic-related incidents (traffic jams, police presence, road construction) to the app, which is then shared with the rest of the users. The app can also help you find nearby gas stations or reroute you to avoid congestion entirely. Although there are many GPS apps out there, Waze stands out as a car navigation tool because of its ease of use and community-based information. 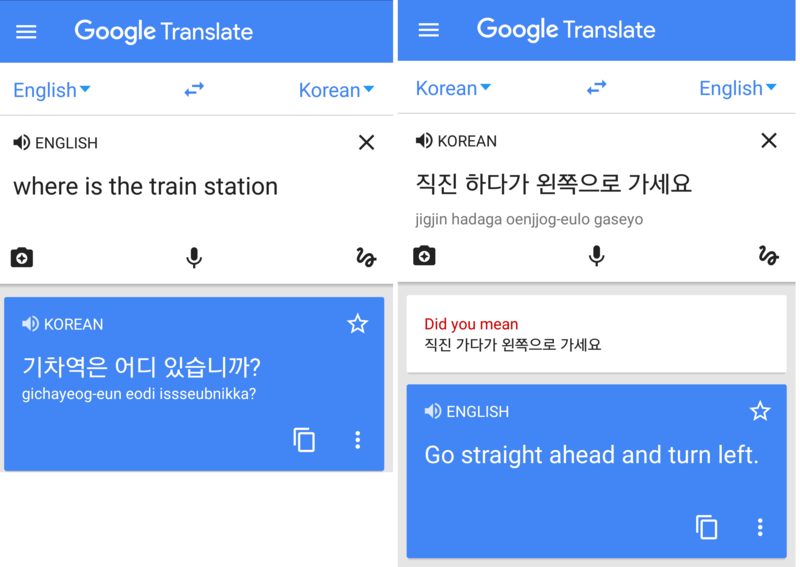 Although Google Translate has many applications, learning a few phrases of the country you are visiting can help you make friends! The app also has real-time functionality for direct conversations. Although it is far from Star Trek’s “Universal Translator”, it is an impressive technological feat. A must download for every mobile device user! Unless you’ve been living under a rock for the last five years, you probably know about Tinder. 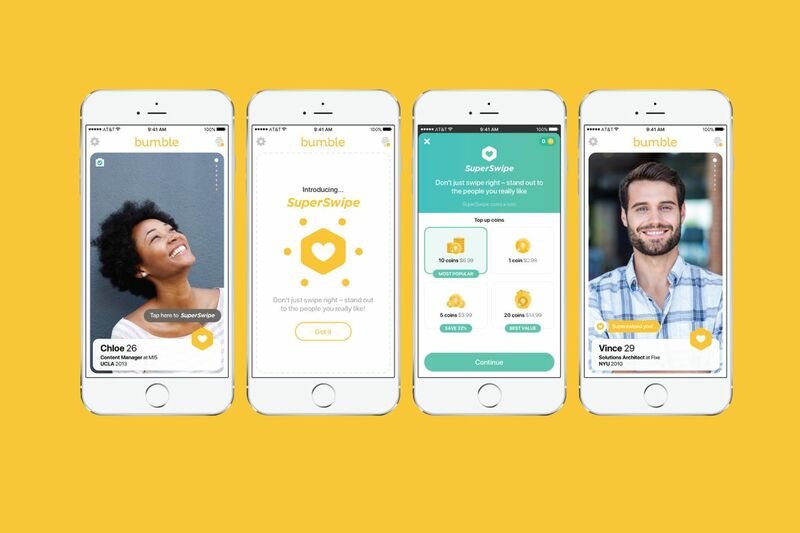 What you don’t know is that the founding team quickly moved on to their next project, which is also a dating app: Bumble. The premise is very similar, but on Bumble, only women are allowed to initiate conversation. This app has a reputation for having a more mature audience than Tinder, as the average age and education level are higher. Either way, it is a great opportunity to meet exciting new people abroad. Who knows? Maybe the next right swipe is your destiny! Learning the language is one of the best ways to immerse yourself in the culture of a foreign country and bond with the locals. The problem is, learning a language takes a lot of time. 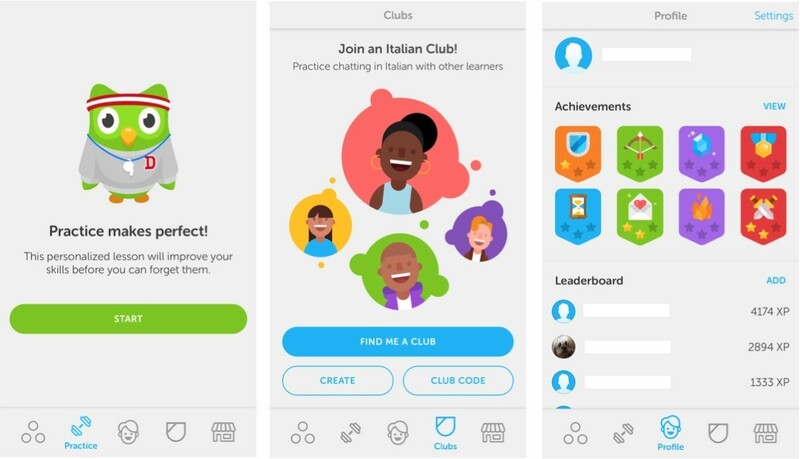 Duolingo takes all the boring parts out of the process and turns into a game! Users can track their progress in grammar, vocabulary, and speaking while the app frequently challenges you to take tests to practice what you’ve learned. With Duolingo, not only will you be able to learn some basic phrases in a foreign language, but if you are a good student, really learn it! Responsible for countless lost hours of productivity, Netflix is one of the easiest ways to enjoy original streamable content from your laptop or mobile device. The reason the Netflix app is a valuable travel companion is the fact that you can download your favourite movies and series and watch them anywhere. This can be especially useful during long flights and layovers, where killing time is the only option available. We know that you already have the app, but keep in mind it can be a life-saver for longer trips. As much as we can all appreciate a good movie or TV show, there is no substitute for a good book. However, there is a limit to how many books you can carry on your trips, especially if you are travelling low cost. 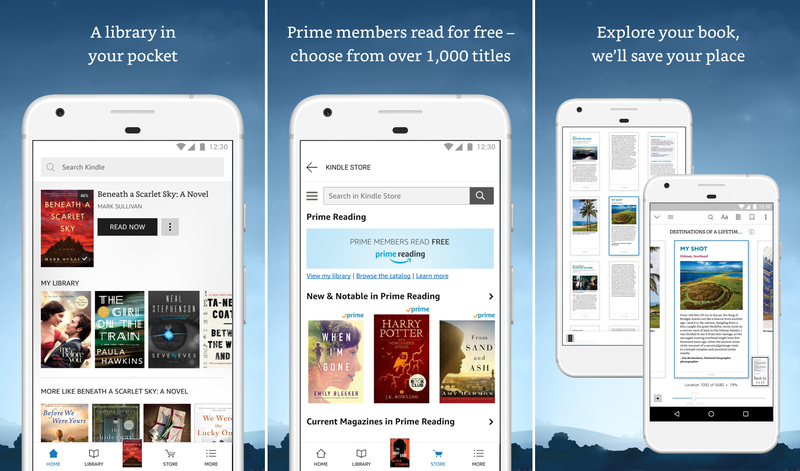 Kindle by Amazon is the app every bibliophile in the world should have, as it offers you millions of e-books to choose from. What’s even better is that you can pack as many of them as you like without worrying about size regulations. If you are still relying on banks and currency exchange bureaus in the 21st century, you are doing it wrong. 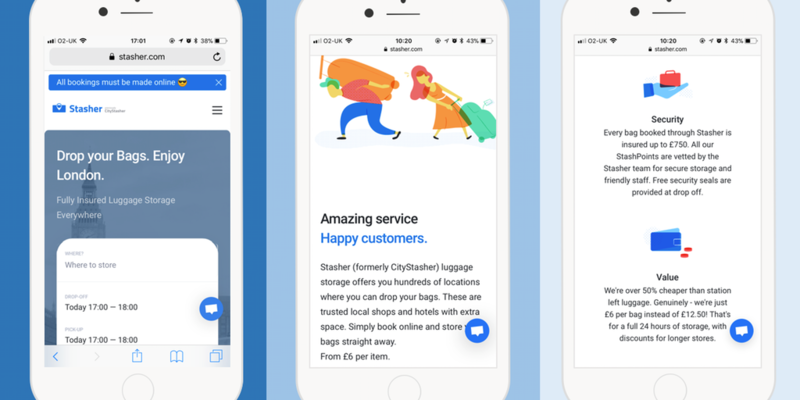 Unless you want to waste hundreds of pounds on hidden fees and unfavourable exchange rates, start using Revolut. The British startup was launched in 2015 with a simple mission: making money management easier around the world. Revolut currently charges no fees for most of its services and uses mid-market rates to offer the best possible bang for your buck when exchanging currencies. Not to mention that you get a shiny new card to use anywhere in the world! Using your mobile data abroad is extremely expensive. Although roaming charges within the EU have been scrapped since June 2017, this is not the case for the rest of the world. WiFi Map is a crowdsourced database that allows you to find accessible Wi-Fi hotspots around you. Users can share the passwords of WiFi networks with the community and contribute to a growing pool of freely accessible hotspots. You can also “download” a map of WiFi codes for the city you’ll be visiting, allowing you to remain in touch with the online world without spending a single megabyte of your data plan. Aeroplane ticket prices fluctuate all the time. Although there are many theories regarding how you can manipulate the algorithm into getting cheaper tickets (like browsing in incognito mode or using a VPN), nothing is proven to work. 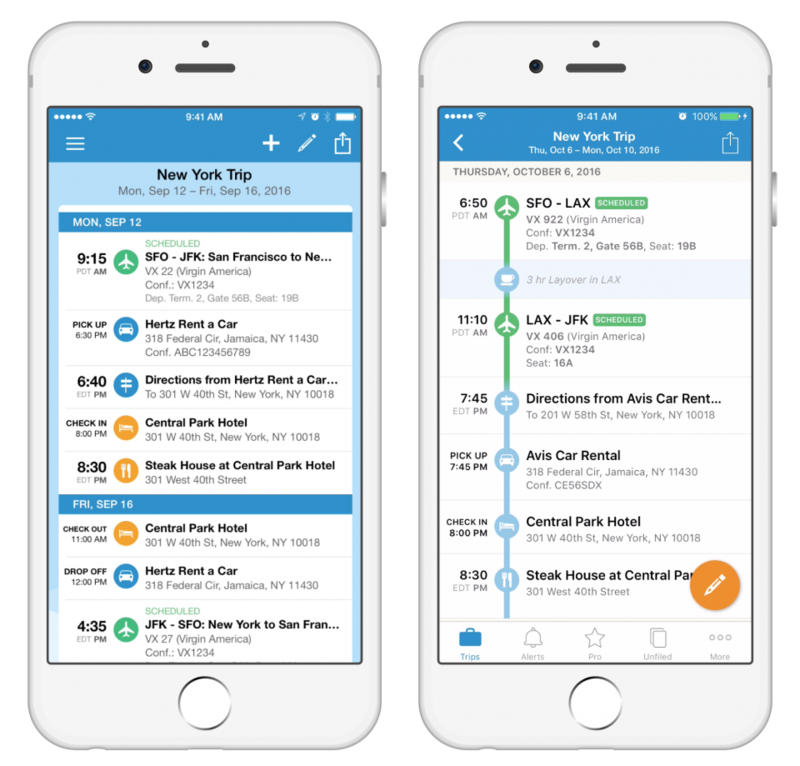 Hopper is one of the most useful travel apps here, as it takes the guesswork out of the booking process and predicts ticket prices for up to a year with 95% accuracy so you can always be certain you got the best deal. The app has a nice extra feature called Fair Bear, that clearly explains all the restrictions of the airfare you are about to buy (cancellation fees, baggage fees, etc.) The app is free to use, so give it a spin before your next trip. You could end up saving more than you thought! We may not have a mobile app (yet! ), but our app Stasher can easily be used from your mobile device! Save time and money on impractical left luggage storage lockers and store your bags in one of our StashPoints all over the world! 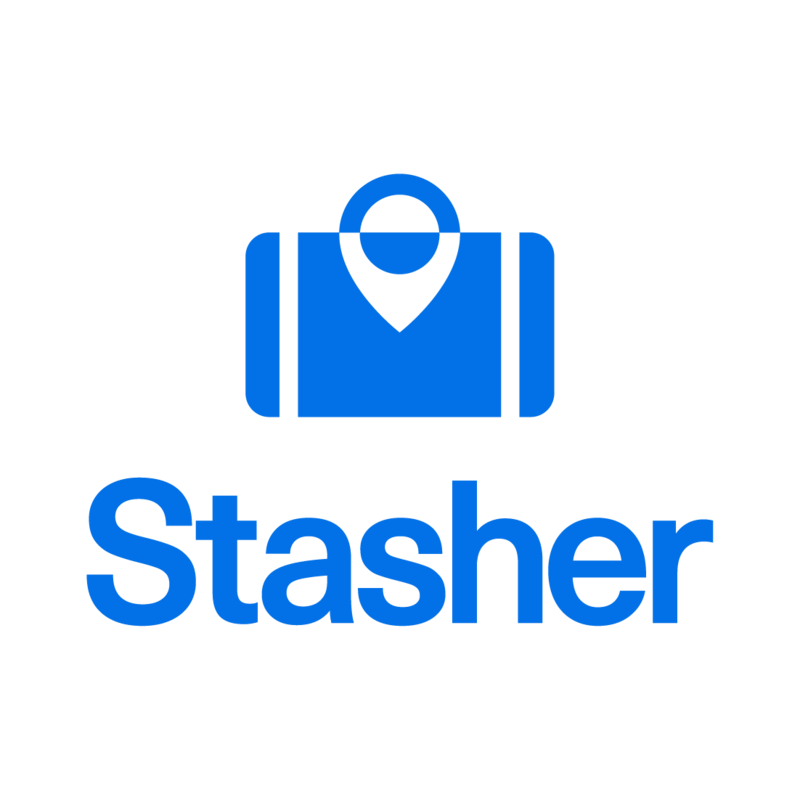 Whether you are waiting for that late flight or waiting until you check in your hotel, Stasher has got you covered with convenient, affordable and full-insured luggage storage solutions. Thanks for sharing such an informative article. These apps have indeed made traveling relatively simpler.